Six seconds. That's all it took for Jake Paul to make it big on Vine. Seemingly overnight, the teen attracted millions of followers to the now-defunct video-sharing site. 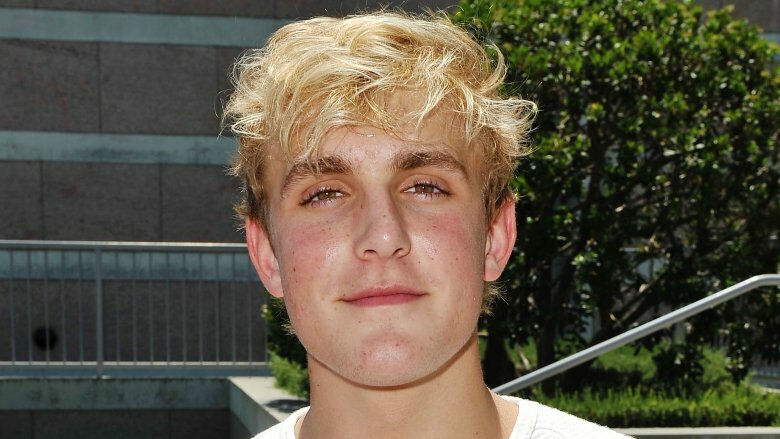 In 2016, Paul was cast as Dirk on Disney Channel's Bizaardvark, and by August 2017, his personal YouTube channel boasted nearly 10 million subscribers and more than 2 billion views. But in the wake of his groundbreaking success, trouble is brewing. Here's the untold truth about this social media sensation. Paul didn't set out to become a social media celeb. When he was 10 years old, he "wanted to go into the NFL," and his dad gifted him and his brother with a video camera "so we could record our games and watch them back," Paul told People in December 2016. But instead of focusing their energy on football, the brothers got into an "argument about who could make a better video" and decided to settle it on Vine. Their popularity snowballed and "within six months we were making more money than our parents," Paul said. As of August 2017, a Top 100 compilation of his best vines had garnered close to 8 million views. Before his online stardom, the Ohio native reportedly wanted to serve his country and even started training in hopes of becoming a member of the elite Navy SEALs. During an online Q&A via Product Hunt in July 2016, Paul was asked what he wanted to be when he was little. "Before Vine I was actually training to be a Navy SEAL," he said. "I still would like to do it.. lol." According to CNBC, Paul's enormous social media success had him "pulling in seven figures" by 2016. The then-19-year-old said the secret to his success was staying flexible and exploring as many opportunities as possible. "Vine was super, super popular a couple years ago and it's on its dwindling edges, along with Twitter," he told CNBC. "It's about translating your content onto other platforms. Now Instagram and Facebook and Snapchat are super popular and so I just create content on those platforms and grow an audience there." "As you get more and more popular and start to build a brand name for yourself in the space, you start working with big Fortune 500 companies, merchandising deals, you can tour," he said. "There are lots of ways to monetize. But if you have millions of fans, and you can convert even five percent of them to pay for something of yours, you are in the seven-figure range." Once Paul secured his own slice of fame, he set his sights on helping others. "I want to be the Dr. Dre of social media," he told People in 2016. "I want to take my success and replicate it with other artists." He set out to achieve said goal by inviting fellow social media stars from around the world to live with him in Los Angeles in a $17,000 per month mansion in Los Angeles. Dubbed Team 10, the gang lives and works together in a casa Paul refers to as an "incubator for social media talent. We take people who have a lot of potential and teach them how to make content, produce it, etc." he told Forbes. "Then we move them into the house and we all collaborate. We've taken people with 5,000 followers and they've literally had millions of followers in a month. Although Paul's fans may dream of living next door, his real-life neighbors in West Hollywood may disagree. According to a July 2017 report in NPR, "Residents of the street where Paul rents a large house are meeting with police and city officials to review code requirements—and could file a class-action lawsuit that seeks to declare Paul a public nuisance." Apparently, Paul and his pals use his property as a set for all their viral pranks and wild antics. "We used to be a really nice, quiet street and now we're just this, like, war zone," neighbor Maytal Dahan told local news station KTLA 5. "We're families here, and we're more than happy to have them live here if they're respectful of their neighbors, but they're not." As news of his neighborhood strife began making headlines, Paul initially responded by tweeting, "Lol it's trending." He followed that up with a tweet questioning the media attention: "Crazy how many ppl care about me being a "bad" neighbor. Bigger fish 2 fry… innocent ppl r getting shot everyday. U shld worry about tht." When local news station KTLA 5 sent a reporter to his home, Paul quipped, "I feel bad for them, for sure, [but] there's nothing we can do. 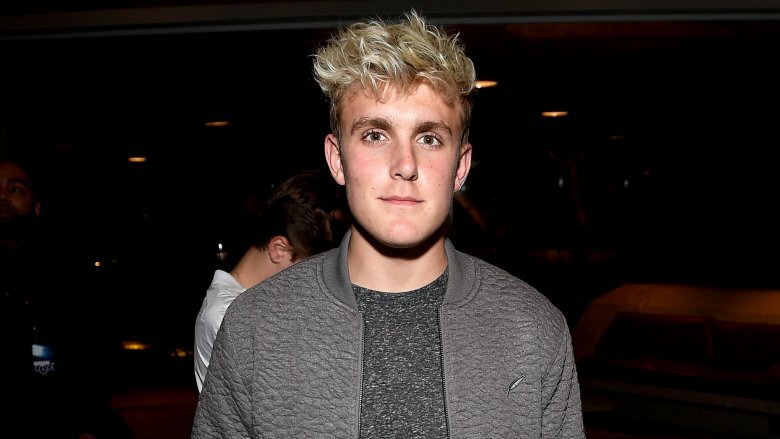 The Jake Paulers are the strongest army out there." (Then he dabbed.) When the reporter asked him to respond to accusations that his activities were turning the community into a circus, Paul replied, "Yeah, it is. I mean, but people like going to circuses, right?" 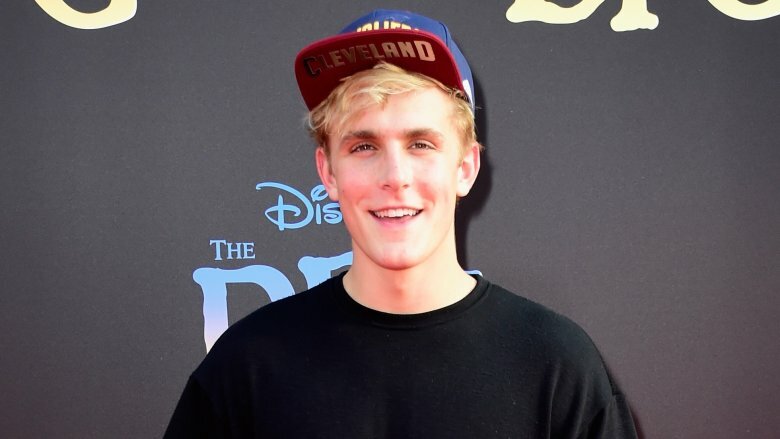 As Paul continued to clash with neighbors, he suddenly parted ways with the Disney Channel, home of his hit series Bizaardvark, right in the middle of the show's second season. Taking to Twitter, Paul confirmed the split. 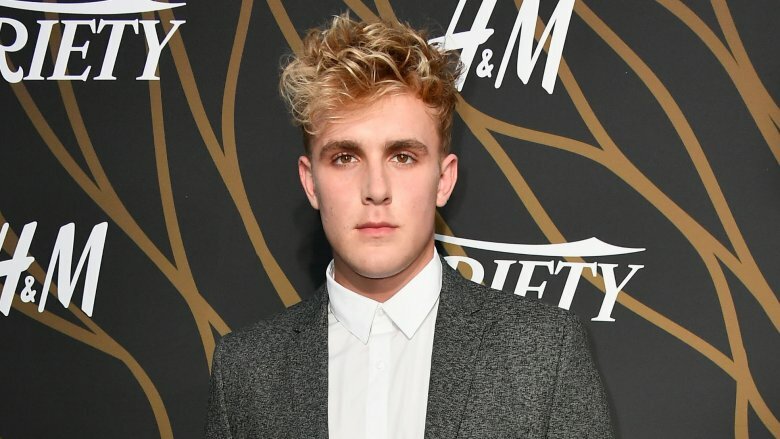 "Long story short…my team, Disney Channel, and I have come to the agreement its [sic] finally time for me to move on from the Disney family and Bizaardvark," he said. "I love my cast mates and will continue to support Disney but I have outgrown the channel and feels its time to move forward with my career." Rumor has it Paul was fired, but his rep insisted that wasn't the case. "They couldn't have been nicer about it," the rep told Page Six. "Now that he's not on the show he can go on auditions for more mature roles." Shortly after he parted ways with Disney, Paul was featured in a GQ article titled "The New Rules for Making It In Hollywood." In the story, the 20-year-old brainstorms ideas with a movie producer about his potential film debut, saying, "Maybe similarly to Get Out, where, like, the message of the whole thing is like, basically, that racism is terrible." But just a couple of weeks later, Paul was caught making racist comments to a fan in his very own vlog, which he proudly shared on YouTube for the world to see. When a fan approaches his car during a prank, Paul asks where he's from and, upon learning the answer was Kazakhstan, says, "It sounds like you're just going to blow someone up. Send the nuke!" 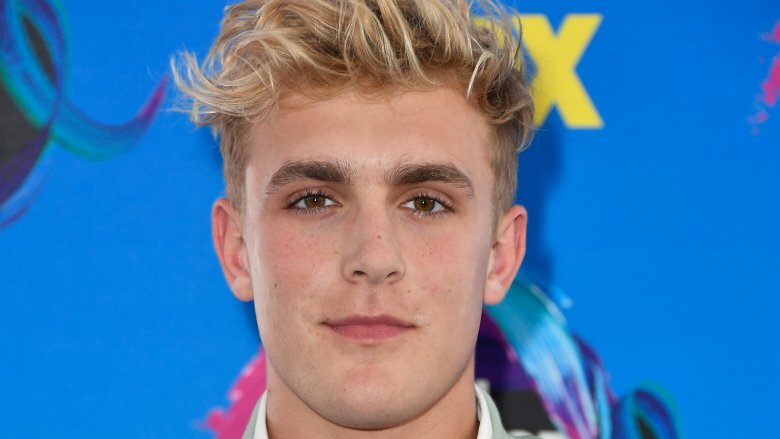 Soon after, #JakePaulIsOverParty began trending on Twitter as folks slammed the social media star for his comments. One Twitter user said, "Okay but he already had it bad and then he went and called a dude with an accent a terrorist in his vlog. disgusting." 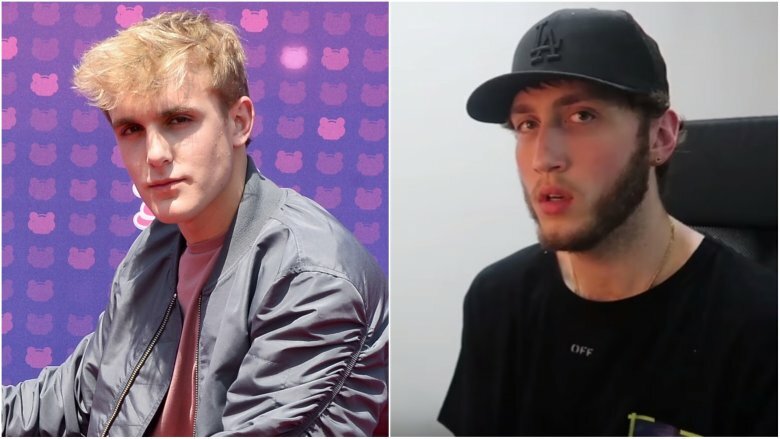 In August 2017, Paul's pile of controversies grew even deeper when he shared a video with fans titled "My assistant was assaulted…" In the clip, he accuses fellow YouTuber FaZe Banks of assaulting his assistant in a club. 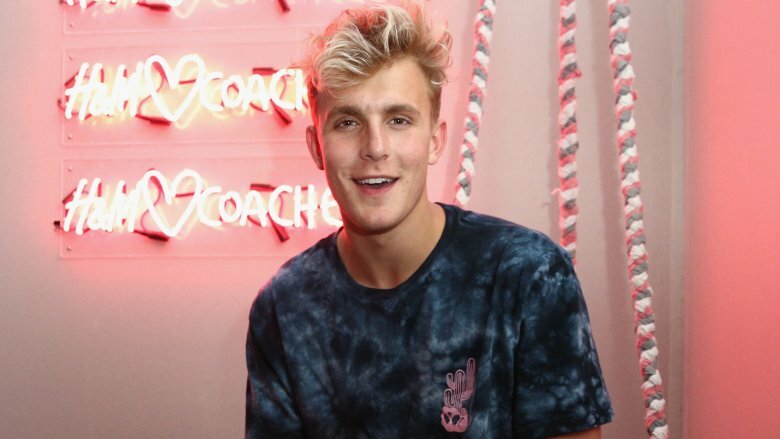 In the 23-minute video, which attracted nearly 10 million views in less than a month, Paul's assistant claims she crossed paths with FaZe while partying and that FaZe stuck out his arm and clotheslined her, bruising her neck as he tried to pull her toward him. FaZe wasted no time filming an emotional response to fight back against the accusations. "I don't think I've ever been this upset in my whole life. Ninety-nine percent of what this kid said was fabricated and absolutely not true. I've never seen this person ever." He continued, "I don't remember doing that… There is a possibility. Maybe I was dancing or something and bumped into this girl… obviously this s**t wasn't intentional, if it happened at all." Paul's followers began questioning the legitimacy of his accusatory video, and in the court of public opinion, it seemed his reputation was taking a serious hit. Then Max Beaumont, a member of Paul's Team 10, quit the crew and came forward with his side of the story. Beaumont said he was at the club that night with the alleged victim. "I believe that, if anything, you accidentally bumped into her," Beaumont told FaZe in a YouTube interview. "I can't explain the bruise and she's my best friend for seven years, so it's so hard for me to say this, but the way I saw you that night, I don't see how it's a possibility that you went from this nice guy who came over and gave me a hug to someone who started swinging at her afterward."